Last week, 267 families were served nutritional groceries. That’s 1,026 people that don’t have to worry where their next meal is coming from. Lots of great volunteers make this possible! Thank YOU, our faithful and dependable volunteers! 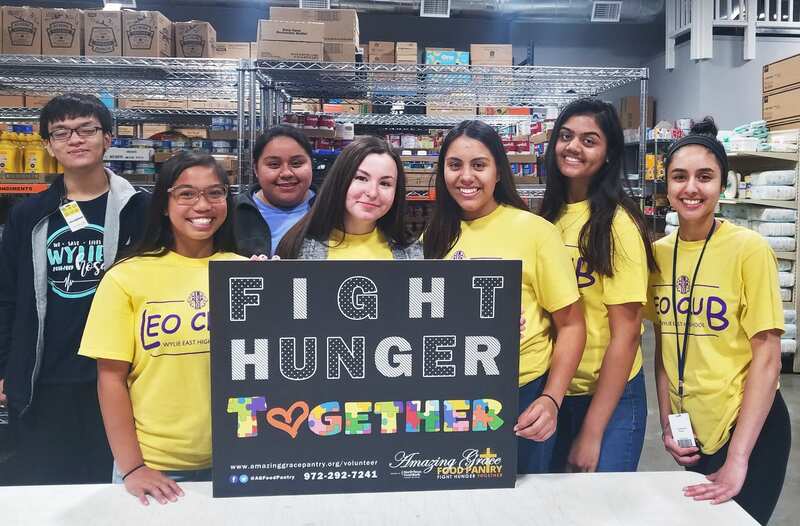 Additionally, the Leo Club volunteered Thursday night and Girl Scout Troop 8068 pitched in Saturday to help sort and stock food. 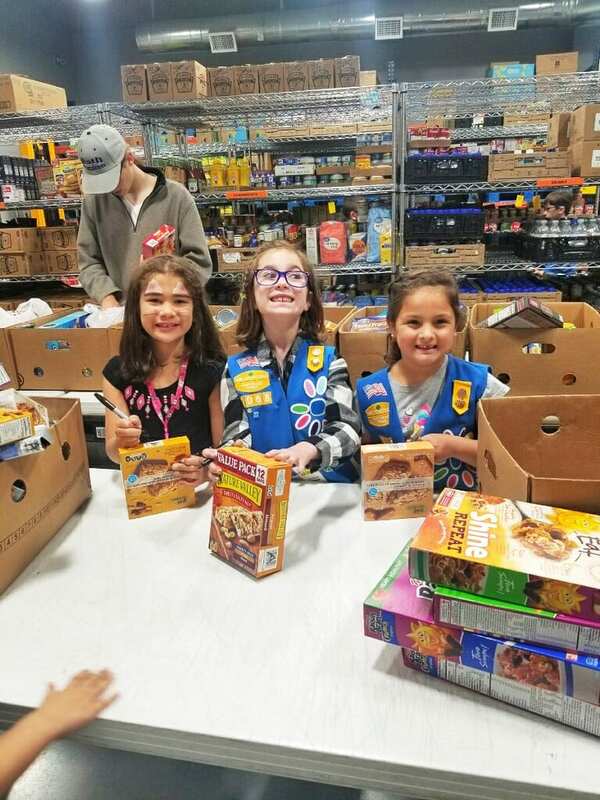 We love seeing these youngsters learn about the importance of serving the community with nutritional food! Want to help #FightHunger Together? Call ahead to learn what shortage the pantry has or send your financial support to help fund the grocery budget. Your $10 donation will feed a family of 4 for an entire month!